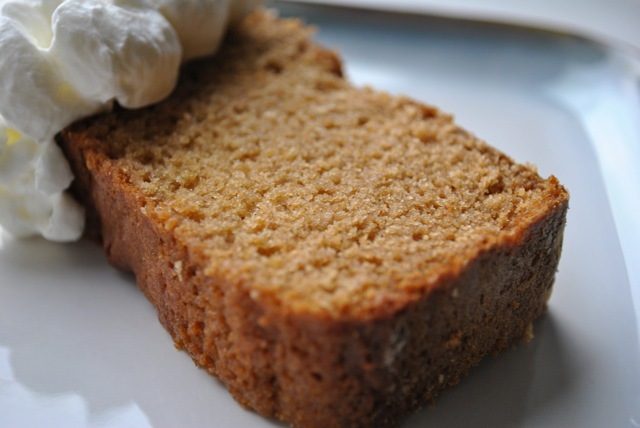 A delicious and moist Honey Cake for Mother’s Day adapted from an Epicurious recipe. I used local honey from Daniel’s Bee Farm in Port Treverton, PA, and Fruitwood Farms in Monroeville, NJ. 1. Put oven rack in middle position and pre-heat to 350°F. Oil loaf pan well and dust with flour, knocking out excess. 2. Whisk together flour, cinnamon, baking soda, salt, baking powder, and ginger in a small bowl. Whisk together honey, oil, and coffee in another bowl until well combined. 3. Beat together eggs and brown sugar in a large bowl with an electric mixer at high speed 3 minutes. Reduce speed to low, then add honey mixture and whiskey and mix until blended, about 1 minute. Add flour mixture and mix until just combined. Finish mixing batter with a rubber spatula, scraping bottom of bowl. 4. Pour batter into loaf pan (batter will be thin) and bake 30 minutes. Cover top loosely with foil and continue to bake until cake begins to pull away from sides of pan and a wooden pick or skewer inserted in center comes out clean, about 15-20 minutes more. Cool on a rack 1 hour. Cake keeps, wrapped tightly in plastic wrap or in an airtight container, at room temperature 1 week.